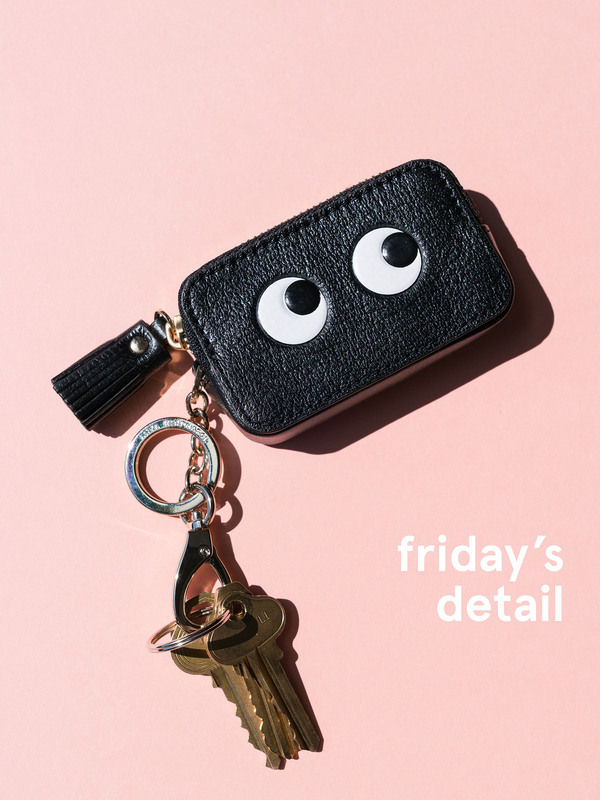 Today's Friday's Detail features a playful little coin/key purse from Anya Hindmarch. Her products just make me happy, and I can't argue with that. I love anything that can make the inside of my bag a bit cheerier and more organized (not to mention protect the smooth interior leather of some of my bags from getting scratched by keys). I'm all about trying to find the best deals when it comes to international designers – if you don't mind international shipping, this is the best online price for the little guy. And though Matches doesn't have the exact model, they have some very cute other options that are over 30% less than U.S. prices. thank you and very mutch كشف تسربات المياه بابها and great blog. That is the cutest thing I've seen all day!